We enjoy the closest possible connection between church and school, with a high proportion of families belonging to both. The school children, whatever church they belong to, participate in a Sung Eucharist at 9.30am every Thursday (for KS2) in term time. This is a public Act of Worship, open to all, and many of the older members of our congregation take a particular delight in joining school parents, old and new. Many of the key roles are taken by the children, each class in turn, and the music led by the splendid school choir. ​We also have regular Whole School Services in church . Please see our calendar for dates. All the children meet in a daily assembly for worship and Religious Education is a vital part of the curriculum. Children are taught about the principal characters and themes of the Old Testament and their relationship with the coming of Christ; they learn about the birth, death and resurrection of Jesus Christ as revealed by the Holy Spirit in the Bible and professed in the Creeds. The School acknowledges Christ’s living presence in the Church and the World. 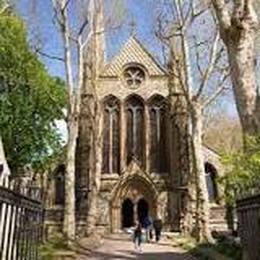 For further information on St Mary Abbots church please visit their website.